Goodreads: Devastated by tragedy during her last project, documentarian Abbie Sinclair thinks she has nothing left to give by the time she arrives in Stargazey Point. Once a popular South Carolina family destination, the town's beaches have eroded, local businesses are closing, and skyrocketing taxes are driving residents away. 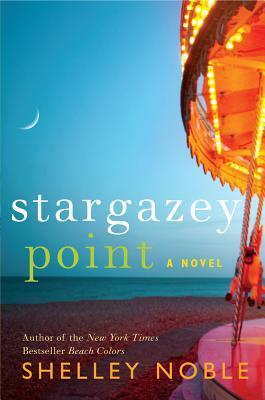 Stargazey Point, like Abbie, is fighting to survive. But Abbie is drawn slowly into the lives of the people around her: the Crispin siblings, three octogenarians sharing a looming plantation house; Cab Reynolds, who left his work as an industrial architect to refurbish his uncle's antique carousel, a childhood sanctuary; Ervina, an old Gullah wisewoman with the power to guide Abbie to a new life, if only she'd let her; and a motley crew of children whom Abbie can't ignore. Abbie came seeking a safe haven, but what she finds is so much more. Kritters Thoughts: First, before you read this book, go find the novella Stargazey Nights and then pick up this one. Stargazey Nights is a prequel that gives a great back story for Cab Reynolds. Now that I have told you that, on with the real review. A small town that has seen a decline for many reasons - hurricanes, economy and the decrease in tourism. With a friend of a family in town and Cab Reynolds in town, both characters end up changing this town in so many ways - both physically and emotionally. As many of you know, I came from a small town that was thriving when I lived there. I am pretty sure it is still trucking along, but it was great to read about how a small town can hit rock bottom and with help start to bounce back. With romance as a very low plot point, I enjoyed the development of the town. The author spent a ton of time describing the town and I appreciated every moment of it. I am hoping that this cliff ending was perfect the author to give us another book set in Stargazey. I would definitely grab this one for a great uplifting summer read. Ooh, thanks for the recommendation about the novella - I LOVE prequels like that! Added them both to my to read list.